For those who may be installing wood flooring for the first time, or are new to how to properly care for and clean wood floors, there are a few basic things one should know. First is that hardwood floors are extremely durable and will last a life time if cared for properly. Second, today there are many types of flooring and there are two types that are considered wood floors. One is hardwood floors, and the other is engineered wood flooring. It is important to know how to care for and clean each type of wood flooring to ensure the longevity of the floor. CA Carpet Cleaning & Water Damage Clean Up will share how to clean and care for engineered and hardwood floors. Sweep & Vacuum Daily – Wood floors, either hardwood or engineered, has a protective sealer that keeps the surface from scratches and damages. Dirt and debris can scratch the sealer off revealing weak points where the wood can become exposed to the elements. This is why it is recommended to either sweep or vacuum wood floors daily. Professionals favor vacuuming since it removes more dirt than sweeping. 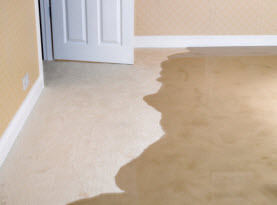 Protect from Sun – Both types of wood floors can be damaged or discolored by constant sunlight. 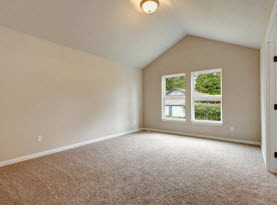 If there are windows that you leave open or an area of the wood floor that is exposed to the sun, then wherever possible use furniture to block the sun or keep windows blocked with curtains or shades most of the time to help keep the wood from fading, drying and splitting. Clean Spills – Wood flooring, either engineered or hardwood floors, are vulnerable to water or liquids. To prevent wear of the sealer and the wood itself, whenever liquids spill on the floor it should be wiped up immediately. Anything beside water should be wiped up with a dry cloth and cleaned with a damped cloth to ensure there is no residue from soda, coffee, tea and other beverages that can eat away the wood’s sealer. Protect the Wood – To help reduce the amount of dirt, sand or debris that comes into the home, use door mats or rugs to help clean off the person’s shoes. It is also recommended that you have a household habit of removing shoes at the door and keep the majority of the dirt and debris at the door and not inside the rest of the home. Never wear heels on hardwood floors either. They can remove the sealer faster than any other object inside a home. Cleaning and Maintenance – When cleaning hardwood floors, make sure to always sweep or vacuum first. Avoid harsh cleaners. 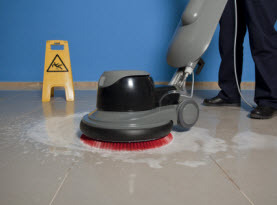 In most cases, a lightly dampened mop and water is all that is needed to clean wood floors. Avoid wax based cleaners as well. Hardwood floors will need to be refinished at some point in time. They will also need to be resealed. Make sure to have this essential maintenance done when needed. Depending on the type and quality of engineered wood floor, it too can be refinished, but in most cases, they can only be done once since the wood is so thin. 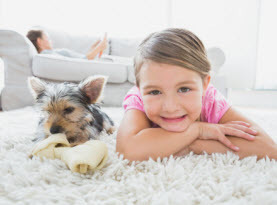 If you need help refinishing, cleaning and caring for your hardwood or engineered wood floors, contact CA Carpet Cleaning & Water Damage Clean Up and schedule our services today!